Commodity trader Trafigura has closed two debt facilities worth a combined US$1.99bn in Singapore. The facilities comprise a 365-day US dollar-denominated revolving credit facility (RCF) worth US$1.175bn, a three-year US dollar loan facility worth US$435mn and a one-year renminbi-denominated tranche worth US$380mn. These will all refinance existing debt tranches and be used for general corporate purposes. It marks the fifth year in succession that Trafigura has syndicated an Rmb tranche. Arrangers: Lead Bank of Taiwan, Bank of Kaohsiung, Hua Nan Commercial Bank. These sorts of deals were commonplace a few years ago, but with depressed commodity prices and macroeconomic challenges, they are becoming less frequent. By way of contrast, a former rival of Trafigura, Noble Group, has this week been selling off more parts of its business as it seeks to stay afloat. 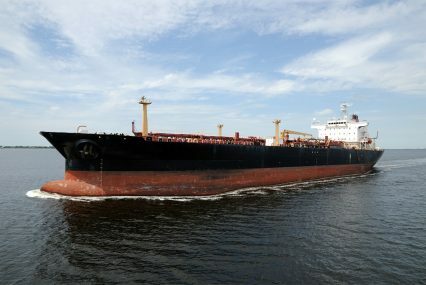 The Singapore-listed trader sold its US oil and gas business to Mercuria for US$102mn upfront, with US$83mn paid into an escrow account. This is way below the US$261mn it had hoped to raise from the transaction. Noble expects to sell its oil business by the end of the year, with Mercuria and rival trader Vitol both hoping to pick up the cut-price asset. Noble announced a US$1.8bn loss in the summer, with the company valued at just US$405mn, down from US$12bn six years ago.